The Centers for Disease Control and Prevention (CDC) estimates that 29.1 million people have diabetes in the United States and that 1 in 3 Americans will have diabetes by the year 2050 . The principal approach to preventing this increase currently rests upon identifying and reducing risk factors, such as obesity and hypertension, and monitoring blood sugar levels and diet. Typically, these risks are defined in a clinical setting and risk reduction strategies around lifestyle changes for the individual patient [2-4]. Prevention at a population level - outside of a clinical setting - becomes considerably more difficult, especially when conditions unique to neighborhood context and demographic mix are considered. For successful primary prevention, a flexible and inexpensive way to identify those in the general population, who are on the path to diabetes onset but, as yet, show no clinical signs is needed. Moreover, we need to understand how local conditions, beliefs and practices may affect the prevention strategies and take into account human behavior and the social and cultural factors that guide and affect behavior . In this paper, we introduce a new and refined definition of vulnerability combining biomedical, economic, social, environmental and cultural factors which is helpful in our endeavor to identify populations at risk for developing type 2 diabetes and to tailor prevention efforts to individual circumstances. In an earlier paper, we introduced the concept of composite vulnerability as a vehicle for population-based assessment . It is composite in the sense of incorporating three distinct contributors to vulnerability, ranging from the collective to the personal level: one's neighborhood factors, household economic standing, and personal health characteristics. We operationalize vulnerability empirically with local data at each of these three levels. The most vulnerable neighborhoods are identified through systematic comparison between those already diagnosed with type 2 diabetes and the undiagnosed population. Other signs of vulnerability are derived from the best population predictors for type 2 diabetes. Accordingly, we expect the content of what counts as vulnerability to vary across populations and geographic areas and thereby recognize the importance and impact of social and environmental factors . In the paper presented here, we further refine the composite vulnerability by identifying the site-specific social and cultural factors linked to vulnerability and through examining how groups across a spectrum of relative vulnerability vary (in this particular context). We also describe the social and cultural factors that characterize the groups uniquely. There is a strong evidence that the social and cultural factors we describe influence individuals' health-related behaviors, and they should, therefore, be considered alongside clinical and other characteristics when attempting to reduce the incidence of preventable diseases such as diabetes [8-10]. In effect, the social and cultural factors shape what is feasible and/or desirable in everyday life and thus have clear import for the design of effective prevention strategies. The study employed a mixed methods approach with a sequential quantitative and qualitative phase and action consequences [11,12]. The quantitative phase  created our composite of vulnerability whereas the qualitative phase (reported in this paper) refined our composite of vulnerability. Results reported here were disseminated to stakeholder groups to provide empirical guidance for local prevention efforts. The quantitative phase, used data from the Health of Houston Survey (www.healthofhouston.org) to identify and map populations within Houston that showed evidence of composite vulnerability, that is, vulnerability that encompasses social, neighborhood and individual-level attributes. A statistical branching method was used to identify best predictors of type 2 diabetes in the Harris County population, based on a set of 35 variables linked to social and lifestyle determinants of health. In parallel, cluster analysis of these same variables identified distinctive profiles among those already diagnosed with diabetes. These profiles, in turn, were used to screen the undiagnosed population for the presence of these characteristics. Neighborhoods with the highest concentrations of undiagnosed individuals matching these profiles were designated as vulnerable neighborhoods, and subjects from the top 3 of these were selected for in-depth qualitative interviews. Once the most vulnerable neighborhoods were selected, 4 sub-groups of residents could be identified based on personal health issues that were mainly clinical (whether they had at least 2 out of 3 of the best predictors of diabetes in this region derived from the statistical branching method: hypertension, BMI > 26.9 kg/m2, and age > 45 years), and whether they were experiencing economic disadvantage (defined as having at least 2 of 3 economic factors: income ≤ 199% FPL, difficulty buying food, and experiencing financial constraints). The resulting 2 × 2 matrix defines 4 unique levels of vulnerability within the most vulnerable neighborhoods - our composite measure. During the qualitative phase, in-depth interviews were conducted with participants from the three vulnerable neighborhoods to identify the site-specific social and cultural factors plausibly linked to vulnerability and examine what kinds of social and cultural factors can characterize them uniquely. The qualitative interview guide was adapted from the Diabetes Vulnerability Assessment [D-VA], a qualitative research instrument developed by University College London as part of the Cities Changing Diabetes (CCD) Program, a multi-site research and action collaboration. Site-specific versions of the D-VA has been implemented in five cities: Mexico City, Houston, Copenhagen, Shanghai and Tianjin, with the aim of establishing new local and global evidence bases for the complex socio-cultural drivers of diabetes . For this study, the research interest was centered on prevention of type 2 diabetes, so the interview guide was adjusted for application to participants who had not been diagnosed with type 2 diabetes. A total of 125 participants were recruited from the 3 Houston neighborhoods of Greater Heights-Washington, Atascocita-Lake Houston, and East Houston-Settegast, which had been identified as regions of high relative vulnerability . Sample households were randomly chosen by mailing address using the United States Postal Service's Delivery Sequence File and contacted by phone or in person by specially trained recruiters. For cases in which the first randomly selected household did not meet inclusion criteria, recruiters moved door-to-door until a nearby household meeting inclusion criteria was identified. Inclusion criteria required participants to be aged 18 years or older, not diagnosed with type 1 or type 2 diabetes, able to understand and speak English (a limitation of our available pool of specialized interviewers), able to provide informed consent, and exhibiting at least one of eight case filters drawn from either of two, previously-defined profiles of those with diabetes (from our cluster analysis): have health insurance (private or public), age ≥ 55 years, either employed or unemployed, either no support from public programs or ≥ 1 program providing support, income either < 100% FPL (federal poverty level) or > 200% FPL, either never or rarely/sometimes has difficulty buying food, either 0 or ≥ 8 days of poor health in the past 30 days, and either white non-Hispanic or black non-Hispanic. Institutional review board approval was obtained prior to recruitment. Each participant provided informed consent and received a $100 honorarium for their participation. Interviews were performed by 2-person teams of fieldworkers and occurred either at participants' homes or other suitably private locations. Each interview took approximately 90 minutes and included administration of a pre-screening questionnaire. Pre-screening questionnaires collected participant information, such as standard demographic data, clinical risk factors for diabetes, and indicators of economic disadvantage, and interviews explored in detail participants' circumstances, experiences, attitudes, and opinions related to health and well-being and living in a specific neighborhood. The 125 interviews were conducted, recorded, and transcribed. Verbatim transcripts were the main source for analysis and were supplemented by executive summaries and data from pre-screening questionnaires. Executive summaries included notes and ethnographic observations provided by respective lead field-workers. Researchers experienced in qualitative data analysis, coded all transcribed interviews following well-established principles of Thematic Content Analysis (TCA) . As is required for rigorous analysis , a detailed consensus-based code manual capturing salient data was developed by the authors to guide the coding process. Salience was defined as having potential to illustrate how vulnerability or resilience to diabetes may emerge and be understood locally. Coded data were categorized into distinct themes (Appendix Table 1). These themes were further synthesized into a set of distinct social and cultural factors plausibly linked vulnerability. Factors were defined as concretely observable influences in one's life, based on life course, economic circumstance, environment, health, geographic location, culture, customs, or traditions. A final set of 10 social and cultural factors linked to vulnerability was identified (Appendix Table 2). The 125 participants were arranged into the 4 sub-groups of vulnerability according to the combination of the presence and/or absence of clinical and economic factors as reflected in the 2 × 2 vulnerability composite matrix. The prevalence of each social or cultural factor that was determined to be linked to vulnerability was assessed within the overall sample and each sub-group (Table 1). Primary and secondary factors emerging from each sub-group were identified as those occurring with greatest and second-greatest frequencies compared with the other three. These were then used to characterize that particular sub-group. Across all four sub-groups, the most common factors were the experience of change and transition (on an individual, community, or national level); adherence to food traditions; having a long commute or otherwise spending a large amount of time driving; and the experience of time constraints. The four sub-groups of vulnerability were characterized by distinctive social and cultural factors presented in Figure 1. Figure 1: Clinical and economic risk factors within groups. Commonly-used terms were chosen as labels for each sub-group; of note, these terms were intended to function not as an "idealized type" but rather as descriptive labels meaningful to service providers, local health departments, and other stakeholders in the design of prevention programs. Accordingly, the sub-groups were referred to as Isolated Skeptics, Concerned Seniors, Financially Pressured Caregivers, and Time-Pressured Young. Demographic and other characteristics of each sub-group are shown in Table 2, and key social and cultural factors are described below. The subgroup characterized by both elevated clinical risk of diabetes and economic disadvantage was termed the Isolated Skeptics. This description derived from 2 defining factors: a feeling of not being part of a community (i.e., feeling "isolated") and lack of trust (i.e., being "skeptical"). Average age in this sub-group was 55.9 years, and most individuals lived in the Settegast area (78.6%). This sub-group exhibited the highest average BMI (33.6 kg/m2), and 67.9% had high blood pressure. Nearly half of individuals (46.4%) were currently working, and 28.6% had no health insurance. Most (60%) reported an income that placed them at 100% FPL or below, and 54% reported that they had sometimes/often difficulty buying food. Key social and cultural factors of the Isolated Skeptics were lack of trust in the health care system (60.0%), adherence to food traditions (57.2%), not being part of the local community (46.4%), low health literacy (32.1%), and living in a neighborhood with few amenities (32.2%). Individuals in this sub-group who exhibited a lack of trust generally did so relating to 1 of 3 categories relevant to vulnerability. For some, a sense of mistrust was aimed at the health care system and its providers and was shaped by negative past experiences with health care provision, such as (perceived) missed diagnoses, struggles with medication side effects, or (unexpectedly) large expenses associated with care. For example, as one 54-year-old woman from Greater Heights noted: "I will not go to [local hospital 1]. (…) I go to [local hospital 2]. I had been going to [local hospital 1] for 3, 4, 5 visits; they never told me I had high blood pressure, never. I go to [local hospital 2] one time. My blood pressure was 220 over 190. They would not let me leave". A second group expressed a wider lack of trust in society, experts, "the system", and government, and a third group seemed inward-looking and exhibited a lack of trust towards outsiders generally; instead, trust was extended to family members or selected people such as church leaders, on whom they relied for advice, assistance, and provision of care. For example, one 52-year-old man from Settegast stressed that he was a "family person" and that he preferred to stay at home when unwell rather than visiting a physician because of an understanding that his family would be taking care of him. For many participants, the church was a trusted source of general information, including that related to health; several participants mentioned church ministers as important sources of health care advice. Feelings of not being part of the local community (in terms of neighborhood) were often discussed in contrast to more meaningful relationships with family members or church communities. For example, as one 68-year-old woman from Settegast said, "Well, I don't go outside much. I go basically 3 or 4 places. That's the church, YMCA, and to the store. That's about it…I'm kind of isolated a little bit because I don't mingle out with the neighborhood that much". While some felt not integrated socially in their local neighborhood, some also felt apart from it or even isolated. Additionally, a sense of vulnerability to local crime or a perceived generational shift in attitudes towards caring for others contributed to a withdrawal from community interactions; for example, one 54-year-old woman from Greater Heights cited murder and violent robbery of elderly residents nearby as reasons for being reluctant to go outside or talk to people she did not know. Low health literacy often manifested in a lack of interest in health-related matters or beliefs regarding health and illness that were contrary to biomedical views. Although most participants had relationships with individuals who were diagnosed with diabetes, that experience often did not translate into better knowledge or concern about their personal risk. For example, one 50-year-old woman from Settegast had an aunt who "passed away from her sugar being too high" but felt she had no need to be personally mindful of potentially living with diabetes and believed that she should focus on avoiding drinking and smoking to reduce her diabetes risk. For many individuals, diabetes was not a top concern in their daily lives, either because they were managing other health conditions that were perceived as more worrying, or because diabetes was considered to be largely manageable through lifestyle modifications and therefore not as threatening as other illnesses. For example, one 54-year-old woman from Greater Heights was anticipating test results related to a potential breast cancer diagnosis and therefore expressed low interest in contemplating her diabetes risk; similarly, a 53-year-old woman from Settegast reported having too many things going on in her life to worry about diabetes, despite having 2 close family members diagnosed with diabetes. Adherence to food traditions reflected participants' views towards the social elements of how and where food was consumed, as well as emotional connections derived from preparing and consuming food with others. Some explicitly referred to traditional foods as "soul food" or "Southern food", or other styles of food that acknowledged a sense of legacy. Others referred to a tradition of food abundance; for example, as reported by a 60-year-old woman from Settegast: "When you see what I cook, you'd think I cook for a wedding…I make a kind of gumbo. Then I make okra gumbo. Then I'm going to have cornbread dressing. I'm going to stuff peppers. Bake macaroni. If I don't think that's covered enough, I'm going to do ribs". Most participants mentioned that they were trying to "eat right", although several acknowledged that this effort was not always reflected by what they actually ate. Factors mentioned that prevented individuals from eating healthier often focused on tradition or familiarity; Some reported compromising on healthy eating for the sake of maintaining social traditions or eating unhealthy foods simply because that was how they had been raised. The subgroup characterized by an elevated clinical risk of diabetes but without economic disadvantage was termed the Concerned Seniors. This description derived from 2 defining factors: concern with change and transition (i.e., "concerned") and relatively advanced age (i.e., "seniors"). This subgroup exhibited the greatest average age (65.0 years), the highest frequency of high blood pressure (78.1%), and the second highest average BMI (29.3 kg/m2). All participants in this subgroup had health insurance, and 53.1% were currently working. Individuals were nearly evenly distributed across the 3 study neighborhoods. Key factors of the Concerned Seniors were the experience of change and transition (86.5%) and low health literacy (27.0%). A sense of change and transition applied to a large majority of individuals in this subgroup and was reflected both on a societal/community level and on an individual level. Society- and community-level changes that were mentioned included changes to the national health care system and changes that affected the sense of "community spirit", such as increased crime, reduced quality of schools and local amenities, population influx, and changing demographics. For example, this 72-year-old woman from Settegast gave a typical description of changes within her community: "When I first moved here 47 years ago, it was an entirely different neighborhood. The (…) people who lived in the homes owned the homes. Now, as the older people have passed away, there are people who are renting most of these homes. And so, it's a totally different culture. We didn't have crime when I first moved here; we had good schools. (…) There just isn't the same culture of association with people anymore. (…) We had access to far better things. We had good grocery stores, and of course, we never had a shopping center or anything like that or clothing stores or anything, but we had access to most of our basic needs. (…) But all of those stores left. They're gone, and it's just a completely different environment". A majority of participants were concerned about the future, and many believed that changes were linked to a reduced sense of community spirit. Individual-level changes were largely related to health, well-being, and major life changes; for example, one participant described how a 12-day program helped him quit an alcohol addiction and turn his life around, and others reported finding new therapies for long-term medical conditions. More common changes were negative and included being made redundant, experiencing a significant health scare, and unexpectedly being required to manage family members' needs. A major concern for many was changes relating to insurance and health care. For example, a 67-year-old man from Atascocita believed that he would "be all right [and have health care] as long as the government doesn't go broke", while another 71-year-old man from the same neighborhood remarked that "I hope [that my health care needs will be met in the future]; but I don't know that that's absolutely true. But I hope it probably will be all right. Things are changing, and I don't quite understand all the changes, I'll tell you that right now". Most participants stated that although they were managing quite well currently, the future was uncertain. One participant, for example, believed that the US government was about to "socialize" medicine, which would lead to increased waiting times and potentially fatal outcomes: "You'll get [health care] but you're going to have to wait, so that means so many people are going to die, the old people are going to die.…". Partially linked to worries about health care provision was the factor of low health literacy. In general, low health literacy, particularly regarding diabetes and its symptoms and causes, could be linked either to a broader absence of interest in health- and diabetes-related matters or to insufficient or misleading information. Several participants had little or no understanding of diabetes, even if they were at risk because of their weight and hypertension, often because they believed that diabetes was not relevant to them e.g., "Well, I don't really understand diabetes because I don't have it; nobody in my family's had it", or "No, [I don't know anything about diabetes because] sample blood, blood tests showed me that I don't have it [diabetes], so I haven't really pursued [finding out about the condition]". Similarly, a 63-year-old female Settegast resident with hypertension and a BMI of 28.9 remarked that "I don't really know what the symptoms [of diabetes] are. [.…] I can't tell you because [….] I've just not researched it or talked about it a lot [….]. I see so many people in all walks of life [who] are diabetic. And it has-I think it may have-a lot to do with what they eat or what they do. I'm not sure. […] I don't know, because I don't know that much about it. I haven't really thought about it to that degree". Another participant thought that "malfunctions in the body" may cause diabetes (i.e., "[similar to] what causes cancer. They get a cell doesn't produce properly but why I don't know"), and several said that they thought diabetes was inherited. Many of the Concerned Seniors expressed some desire to understand health and health care, especially relating to issues concerning hypertension and the need to manage the condition through physical activity and a healthy diet (consistently referred to as "eating right" and frequently perceived as being in conflict with the realities of daily life). However, misconceptions were apparent, and many were reluctant to take medication as prescribed, often for fear of side effects (e.g., "I don't like to take a lot of medicine […] it's just, they cause so many side effects, you know, our medicines have a lot of side effects"). Whereas some sought alternatives within the health care system (e.g., visiting an acupuncturist regularly to improve overall health), others decided to treat health concerns using other remedies. For example, one 76-year-old participant experimented with substituting statins prescribed for her hypertension with regular doses of flaxseed because of worries about statins being linked to diabetes, and one 75-year-old woman from Settegast reported using home remedies to control her blood pressure: "You use the herbs, and home remedies, and you try to fix it yourself. (…) when I stop taking the [hypertension] pill, I'd use the apple cider vinegar and the water and then we have the garlic and cook with the herbs too. Mix up the bay leaves and cinnamon and stuff, you know". In addition to key distinguishing factors, other factors deemed relevant to the Concerned Seniors were adherence to food traditions and time constraints. In contrast with the Isolated Skeptics, Concerned Seniors discussed food traditions more reflectively and critically; as one 59-year-old woman from the Greater Heights area mentioned, "I would say that, in general, our traditions (…) were not about eating healthy. It was about eating what you liked. And so you really have to learn (…) to eat healthy. It's not something that most culture's traditions are going to teach you". Some individuals viewed a generational divide in the current availability of unhealthy or harmful food, and many equated "traditional" with ethnic foods, such as Jewish, American, Mexican, or Italian. For example, as a 57-year-old man from Greater Heights stated, "My family traditions are strong and so as Italian I tend to eat Italian, a lot of Italian food and Mediterranean food. Which is different than I think many of my neighbors and people in the community". Time constraints were often mentioned as limiting food choices and exercise habits and were usually work-related. Additionally, family duties (particularly those of younger participants, such as women with children) added significantly to time constraints. Interestingly, and in contrast to the Isolated Skeptics, some factors were mentioned that afforded opportunities to engage in regular physical activity, such as having physically active jobs. For example, as one 68-year-old woman reported, "I figure 5 days a week I'm on my feet for 8 hours, I mean literally on my feet (…) most of the time I'm moving, so I figure on those days I'm getting my exercise. It's the 2 days like today when I'm home that I don't get it like I should". Access to workplace gyms enabled some participants to exercise, and relative financial stability played a role in enabling some to afford exercise classes. The subgroup characterized by a lower clinical risk of diabetes but with economic disadvantage was termed the Financially Pressured Caregivers. This description derived from 2 defining factors: Feelings of financial constraint (i.e., "financially pressured") and an active caregiver role (i.e., "caregivers"). Average age in this subgroup was 44.3 years, and most individuals lived in Settegast (41.7%) or Greater Heights (37.5%). A majority was currently employed (79.2%); however, all considered themselves to be living under financial constraints, and 38% reported sometimes or often having difficulty buying food. This subgroup exhibited the highest rate of not having health insurance (33.3%), with reasons varying but most involving financial considerations. Key social and cultural factors of the Financially Pressured Caregivers were having a long commute (50.0%), time constraints (41.6%), and a caregiver role (37.5%). Having a long commute was defined as traveling long distances to work, driving as a part of one's job, or needing to drive long distances for groceries and other amenities. Long periods spent in cars clearly had an impact on participants' daily lives (i.e., reducing personal time and contributing to sedentary lifestyles) but also seemed to be widely accepted aspects of Houston life. Driving times affected individuals' decisions regarding where they lived, worked, and accessed amenities, as several participants discussed weighing the benefits of a shorter commute versus settling for a smaller house or less desirable neighborhood. Many participants lived in an area requiring a long commute to work and heavy use of automobiles. As one 57-year-old man from Settegast reported, "It takes me an hour to get to work, an hour to get home, along with the eight-and-a-half-hour shift. Use that, come home and eat and go to sleep and usually sleep until almost it's time for me to go back to work". Time constraints were frequently associated with long working hours, long commutes, and responsibilities to fulfill family-centered caregiver roles, and were often mentioned as a reason for not exercising regularly. As reported by one 44-year-old man from Greater Heights, "I really never just went into [exercising regularly]. Since I've been working, I come home and…I'm always busy. And when I get off work, I come home I'm busying around here (…) I'm tired. I mean basically everything will be like closed by the time I get home (…) I get home 6:00, 6:30, sometimes 7:00, working 12-, 13-hour shifts". The impact of an active caregiver role included issues related to time constraints but also extended to emotional or financial stressors. For example, some participants were unable to maintain a daily job because of responsibilities associated with caring for elderly or chronically ill family members. One notable exemplar was a 43-year-old woman from Settegast who was currently unemployed because of care commitments to 2 children and a mother with Alzheimer disease. She had not found time to obtain health insurance and had not taken final exams for a teaching degree after otherwise completing her studies. The lack of personal time was a significant source of distress; as she mentioned, "Sometimes you just want to do you, and you just want to be by yourself and people don't, they don't get that and if you don't push the issue yourself, then you'll never ever find the time for yourself, and you'll look around you're just serving everybody else and you aren't happy". These emotional and financial stressors may contribute to unhealthy eating habits, as some participants noted that food choices were often dictated by convenience or a desire to minimize strain on available time. As described by the aforementioned exemplar, "Most of those places that we visit is on ten right here, because all you do is jump on the freeway and go around right quick and jump right back off". In addition to these factors, the experience of change and transition was deemed relevant to Financially Pressured Caregivers. For some, the changes noted in their neighborhoods were mostly positive and related to better availability of health-promoting and other neighborhood resources or positive reactions to living in an increasingly ethnically diverse and younger neighborhood. More often, however, change and transition was considered negatively, such as concerns about declining morals and values. Some participants mentioned dissatisfaction with changes in parental attitudes towards raising children, a growing sense of entitlement among individuals of younger generations, less defined gender roles, and a loss of traditional values. For example, common themes were mentioned by one 51-year-old woman from Settegast: "How I was raised my father always was the one at work and my mom was always at home taking care of us. He did most of the work; he was the one that supported us. [Today] some women [are like] hey I'm going to work, or they go out to eat, or they don't want to cook (…). And I think that's the problem right there. Nobody wants to cook anymore". The subgroup characterized by having no elevated clinical risk of diabetes or economic disadvantage was termed the Time-Pressured Young. This description derived from 2 defining factors: time constraints (i.e., "time-pressured") and a relatively young age (i.e., "young"). This subgroup had the lowest mean age (41.5 years), the highest percentage of individuals with private health insurance (80.5%), and the highest income levels (≥ 400% FPL, 34%; 200%-399% FPL, 52.3%). A majority of the Time-Pressured Young lived in the Greater Heights area (66%). Compared with the Financially Pressured Caregivers, the Time-Pressured Young had an equal percentage of individuals with BMI > 26.9 kg/m2 (29%) and a slightly greater percentage with hypertension (5% vs. 4%). Given the lower average age of the Time-Pressured Young, these clinical risk factors may indicate a higher lifetime risk of diabetes. Key social and cultural factors of the Time-Pressured Young were time constraints (51.2%), having a long commute (48.8%), peer appearance (43.9%), and adherence to food traditions (43.9%). Similar to the Financially Pressured Caregivers, time constraints among Time-Pressured Young were evidenced by long working hours and commuting times. Interestingly, a sense of being overwhelmed by work, rather than unusually long working hours, seemed to underlie time pressure. Most individuals worked average weekly hours; however, they often mentioned having little free time and being tired after work as reasons for eating out, buying take-out food, or preparing quick, unhealthy meals. As one 32-year-old woman from Settegast reported, "It was just too time consuming with getting on there with the computer, already being at work on the computer all the time and having school work. (…) The day can be so hectic (…), then you have children (…). And we just cook these nachos so we can go to bed because it's getting late". Additionally, and unlike the other subgroups, several of the Time-Pressured Young mentioned spending time on social media or other online activities as contributing to time constraints and reducing engagement with perceived "healthy behaviors". A strong role of perceptions related to peer appearance was unique to the Time-Pressured Young and included feelings with respect to one's normative frame of reference. For example, some overweight individuals perceived themselves as "normal" because of how they assessed themselves against others of similar weight. Others acknowledged their weight issues but contrasted themselves with people who were "even worse", or saw no association between their personal weight and overall health. For example, a 22-year-old man from Greater Heights with a BMI of 34 kg/m2 reported considering his brother to be more likely than himself to get sick or develop diabetes; comparing his own habits with those of his sibling, he stated that "[my brother] he's really big; he's the opposite [of me]. I mean, he doesn't like to work out, and uh, he stays in his room. Eat, eat, eat. [Interviewer: How big is he?] Bigger than me". An observation of diabetes affecting individuals who do not appear overweight was frequently mentioned and seemed to alleviate concerns over one's own weight and contribute to an underestimation of the benefits of maintaining a healthy weight. For example, one 40-year-old man from Greater Heights commented that he perceived himself as healthier than some of his peers despite having a higher BMI: "It's really difficult when you do a BMI [test]. I guess it-it-it kind of obvious for some people but some people that are real healthy, it's like, "Wow, you're actually healthy and you still scored kind of low [meaning being overweight]".. Similar to the Financially Pressured Caregivers, many of the Time-Pressured Young perceived having a long commute as an unavoidable aspect of life in Houston. As mentioned by one 40-year-old man from Greater Heights, "This is Houston. Nobody lives near. Everybody commutes. I think unless you own your own business, or if you work from home, people commute at least (…) 20, 30 minutes". This culture may serve as a barrier towards engaging in more physical activity; for example, as voiced by one 27-year-old from Greater Heights, "Here [in Houston] if it [the gym] is (…) 2 miles away, it's going to be 15 minutes (…) It's not worth it to have to go to the gym or go here, go there". For many, desirable or affordable neighborhoods were long distances from work, and others lived close to work but still decided to drive each day. A lack of sidewalks and the perception of driving as a normal and unquestioned aspect of Houston life contributed to a reliance on cars for transportation, although the semitropical climate may also be a barrier to seeking alternatives to private cars as the key mode of transport. Unlike the Isolated Skeptics, for whom food traditions played a key role, adherence to food traditions among the Time-Pressured Young manifested more in the nature of food items than in the act of preparing food. Several individuals reported purchasing prepared food rather than cooking traditional food items from scratch, such as those prepared for family or cultural celebrations. Potentially related to the younger average age of the Time-Pressured Young, food choices and grocery shopping played a larger role in this subgroup compared with others; many mentioned conscious choices about eating organic food or purchasing food in high-quality supermarkets. As Table 1 made clear, the social and cultural characteristics emerging from our thematic analysis were not distributed evenly among participants. More importantly, as we arranged participants into subgroups of varying levels of vulnerability, we found distinctive social and cultural factors that characterized each group. Although some opportunities to reduce vulnerability may be present in these themes, most constituted barriers to change that make efforts to reduce vulnerability more difficult. Moreover, the difficulties are seldom uniform for all subgroups. The challenge for program design is thus 2-fold: First, the barriers that are operating in a given population must be identified, and second, approaches to accommodating differences across more and less vulnerable subgroups must be customized. The sub-group of Isolated Skeptics, for example, was characterized by a distinct lack of trust in health care providers and a lack of engagement with their communities; instead, many participants here turned towards their families for health advice and provision of care. This family-centric behavior warrants further exploration into how to strengthen information and interventions targeted at families as a whole; for example, schools and programs intended for children may have an important long-term role. Supporting and replicating successful church-based models for intervention may also help improve engagement among those for whom their church serves as a trusted source of general information and advice. Because of the important role of family, especially regarding food traditions, sensitivity to the meaning of habits and customs may be important in affecting lasting change and avoiding mistrust and frustration. Another key factor among Isolated Skeptics is the role of financial disadvantage, which may be important in designing effective strategies for intervention. In summary, the challenge for prevention programming is how to regain trust and reengage the Isolated Sceptics (which could involve including churches and other faith-based communities) to improve health and well-being. Defining characteristics of the Concerned Seniors included a sense of helplessness around the experience of change and transition (at both personal and community levels), a loss of community spirit, and concern over the future. Importantly, the role of change and transition suggests that interventions aiming to encourage profound personal changes may be less effective than focusing on minor behavioral changes. Additionally, because health literacy was somewhat low, opportunities may exist for health and insurance education. In particular, community-based interventions may be useful, as most individuals appeared to be willing to engage at the community or societal level. In contrast to the Isolated Sceptics, healthy lifestyle choices were often facilitated by relatively few financial limitations; however, concern over lifestyle changes accompanying a potential loss of financial independence with increased age or changing circumstances may be an important consideration. In summary, the challenge for prevention programs is how to engage Concerned Seniors in community-based interventions and improve health literacy. For Financially Pressured Caregivers, combined pressures of financial insecurity and a lack of time available for carrying out "nonessential" tasks often contributed to a lack of focus on one's own health and well-being. The important role of time and financial constraints suggests opportunities for family-centered, holistic approaches towards alleviating overall pressures. A mental health component may also be considered to identify and reduce overall stress and anxiety. This sub-group may benefit from interventions related to access to and education about health care, particularly among those with short-term or part-time work, or with permanent work who cannot afford health insurance. A group that should not be overlooked is caregivers of individuals other than children, such as the elderly and disabled, as these types of caregivers were found to experience significant burdens associated with care. In summary, the challenge for the design of prevention programs is to help the Financially Pressured Caregivers prioritize their own health and everyday life with significant financial and time constraints. Among the Time-Pressured Young, the relative level of financial security created a range of situations that may contribute to vulnerability. In many cases, the ability to live in a desirable neighborhood, oftentimes resulting in long commutes, and a tendency to eat out frequently were key factors. An important implication is that interventions promoting small changes in daily life are likely to be most effective, as time constraints and work pressures are major barriers towards health-promoting behaviors. For example, considering interventions aimed at partnering with employers to create space within the workday may be useful. Additionally, the unique role of peer appearances suggests a targeted role for interventions that consider the influence of peers and address misconceptions associated with diabetes. In summary, the challenge for program design is to create opportunities for the Time-Pressured Young to prioritize health in their everyday lives and to address misconceptions of who is at risk of diabetes. Increasing interest has been given to identifying the social and cultural aspects of vulnerability, however defined [16,17], and to tailoring prevention efforts to individual circumstances [18,19]. Our analysis first identified 10 social and cultural factors in a population that most resembled-in social and economic terms-those diagnosed with type 2 diabetes. We then considered how these factors varied across 4 sub-groups differing in levels of composite vulnerability. Among the most vulnerable (i.e., the Isolated Skeptics), distinctive factors related to mistrust, food traditions, and a sense of isolation were sources of reluctance to change. Among the least vulnerable (i.e., the Time-Pressured Young), time constraints, commuting, peer judgment, and a different kind of food tradition were related to fewer opportunities to improve health. All were affected by the rapid pace of change and transition in their city and neighborhoods; for some, this was positive, and for others, negative. Clearly, we can expect these differences to be reflected in how reductions in vulnerability can best be fostered. Our composite of vulnerability, combining biomedical, economic, social, environmental and cultural factors, provides a new way of redefining vulnerability to diabetes and enables practitioners to tailor prevention efforts to individual circumstances. Nonetheless, there are three kinds of limitations to this work that need to be addressed in future studies adopting this concept. The first is a potential confusion that comes with the redirection of a familiar term, in our case, vulnerability. This term makes an early appearance in the climate change literature, defined as resiliency to natural disasters and outbreaks (the US Centers for Disease Control and Prevention offers a mapping based on a 15-variable index of social vulnerability at https://svi.cdc.gov). The more common use is as a proxy for disadvantage, marginalization and discrimination. While we use several measures of economic disadvantage to characterize groups, our focus is on pathways to type 2 diabetes which cut across social and economic strata. From our prevention perspective, this is a population-wide problem with social and cultural components. Accordingly, our selection of neighborhoods and households to interview, under-sampled those at the margins of the society, who often bear a disproportionate burden of premature death and disability. Likewise, our attention was focused on neighborhoods rather than workplaces -- a second limitation. To be sure, the demands of work and conditions in the work environment can pose special challenges to avoiding health risks or maintaining a healthy lifestyle. Workplaces have their own social and cultural drivers as well. Our intent is to extend this current work into several corporate and industrial settings to explore these effects and their impact on prevention efforts. The third and largest set of limitations are methodological. Although we relied on non-parametric methods for our branching and cluster analyses, the data were unweighted survey responses from 5,000 random households in one US county. Interviewees for the social and cultural analysis were chosen from targeted communities, based on screening criteria rather than strict randomization. Those semi-structured interviews generated over 1300 pages of transcripts that were systematically searched for common themes. While a strict protocol was followed in the coding process, informed judgment entered here, as well as in the setting of cutoff points for neighborhood screening, the choice of solution criteria for the non-parametric modelling, and in the selection of the original set of 35 variables. An important implication is theoretical -- we can better understand vulnerability by thinking of it as a composite concept and uncovering the social and cultural beliefs and practices that reinforce it and keep people on track towards developing diabetes. A second implication is practical and speaks primarily to diabetes prevention and its stakeholders (including local health authorities, nonprofit organizations, employers, and faith-based and neighborhood groups): How do we design prevention strategies to support changes that reduce vulnerability? Although we focused on Houston, the design challenges for prevention are transferable. Our contention is that we must be able to differentiate among sub-groups whose vulnerability challenges differ markedly and correspond to distinctive profiles of social and cultural factors. The design of programs must not only address barriers (and opportunities) raised by these factors but also must be customized to reach unique subpopulations. 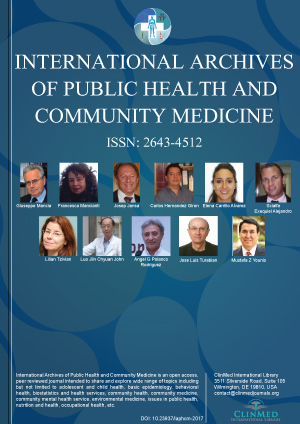 Editorial assistance was provided by Anna Abt, PhD, of ETHOS Health Communications in Yardley, Pennsylvania, and was supported financially by Novo Nordisk Inc., Plainsboro, New Jersey, in compliance with international Good Publication Practice guidelines. SHL received support from Novo Nordisk Inc. for this research. AMV received support from Novo Nordisk Inc. for this research. TW is a former employee of Novo Nordisk Inc.
LH is an employee of Novo Nordisk A/S. ADN received support from Novo Nordisk Inc. for this research. All listed authors made material contributions to this research. (2015) Diabetes Report Card 2014. Centers for Disease Control and Prevention. Atlanta, GA.
Gress TW, Nieto FJ, Shahar E, Wofford MR, Brancati FL (2000) Hypertension and antihypertensive therapy as risk factors for type 2 diabetes mellitus. Atherosclerosis risk in communities study. N Engl J Med 342: 905-912. Haffner SM (1998) Epidemiology of type 2 diabetes: Risk factors. Diabetes Care 21: C3-C6. Ferzacca S (2012) Diabetes and Culture. Annu Rev Anthropol 41: 411-426. Linder SH, Marko D, Tian Y, Wisniewski T (2018) A population-based approach to mapping vulnerability to diabetes. Int J Environ Res Public Health 15: 2167. Hill JO, Galloway JM, Goley A, Marrero DG, Minners R, et al. (2013) Scientific statement: Socioecological determinants of prediabetes and type 2 diabetes. Diabetes Care 36: 2430-2439. Kleinman A, Eisenberg L, Good B (2006) Culture, illness, and care: Clinical lessons from anthropologic and cross-cultural research. Ann Intern Med 88: 251-258. Marmot M (2005) Social determinants of health inequalities. Lancet 365: 1099-1104. Napier AD, Ancarno C, Butler B, Calabrese J, Chater A, et al. (2014) Culture and health. Lancet 384: 1607-1639. Cresswell JW (2014) A concise introduction to mixed methods research. Sage, Thousand Oaks, CA. Ozawa S, Pongpirul K (2014) 10 best resources on mixed methods research in health systems. Health Policy Plan 29: 323-327. Napier AD, Nolan JJ, Bagger M, Hesseldal L, Volkmann A-M (2017) Study protocol for the Cities Changing Diabetes programme: A global mixed-methods approach. BMJ Open 7: e015240. Boyatzis R (1998) Transforming qualitative information: Thematic analysis and code development. SAGE Publications, Thousand Oaks, CA. Fereday J, Muir-Cochrane E (2006) Demonstrating rigor using thematic analysis: A hybrid approach of inductive and deductive coding and theme development. Int J Qual Methods 5: 80-92. Lam DW, LeRoith D (2012) The worldwide diabetes epidemic. Curr Opin Endocrinol Diabetes Obes 19: 93-96. Nam S, Chesla C, Stotts NA, Kroon L, Janson SL (2011) Barriers to diabetes management: Patient and provider factors. Diabetes Res Clin Pract 93: 1-9. Nam S, Janson SL, Stotts NA, Chesla C, Kroon L (2012) Effect of culturally tailored diabetes education in ethnic minorities with type 2 diabetes. J Cardiovasc Nurs 27: 505-518.